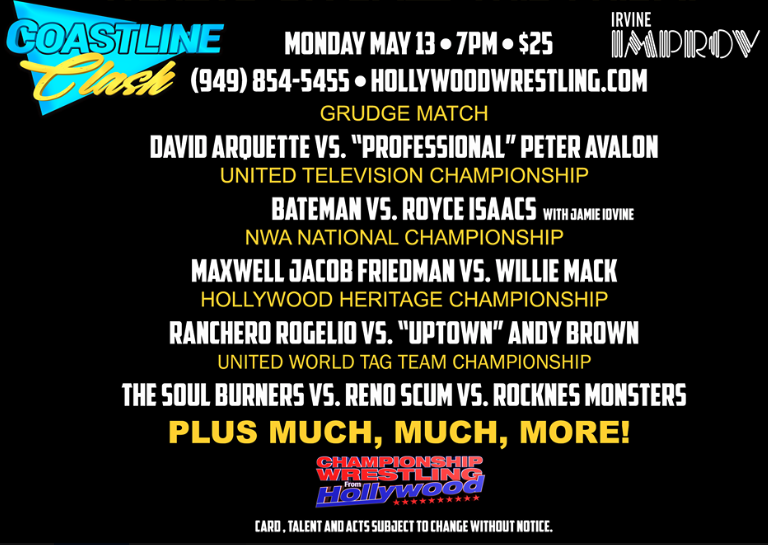 Coastline Clash / CWFH / Monday May 13th at the Irvine Improv! CWFH presents its annual blockbuster event “Coastline Clash” from the World Famous Improv at The Irvine Spectrum! Grudge Match between international television and movie star David Arquette and “Professional” Peter Avalon with Nikko Marquez. For the NWA National Championship, Maxwell Jacob Friedman challenges Champion Willie Mack. The United World Tag Team Title Match features a 4-way Elimination Conteset of The RockNES Monsters Vs. The Soul Burners Vs. Double Platinum Vs. reigning Champions Reno Scum. Hollywood Heritage Champion Andy Brown will be in action defending his title against Ranchero Rogelio w/Howdy Price. United Television Title will be on the line as former Champion Bateman meets Royce Issacs w/Jamie Iovine. This Event will feature a special “Bar Wrestling” match featuring Joey Ryan and L.A. Park. 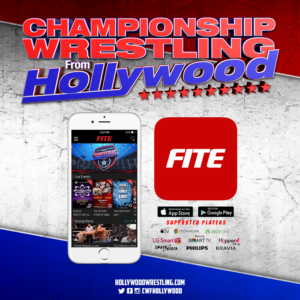 Plus many more surprises from the folks that bring you weekly coverage of Championship Wrestling From Hollywood on KDOC-TV Los Angeles Saturday’s at 1AM and all over the world. For more information, keep checking HollywoodWrestling.com. 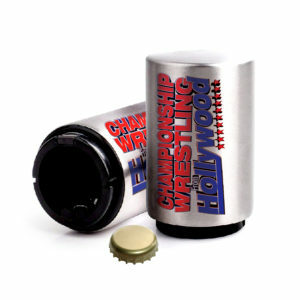 Follow us on Socal Media @CWFHollywood. All matches are subject to change.